This ceramic mug is exclusive to St. Vartan Bookstore. It was conceived and produced to commemorate the 140th anniversary of the birth of Gomidas Vartabed, the giant of Armenian music. 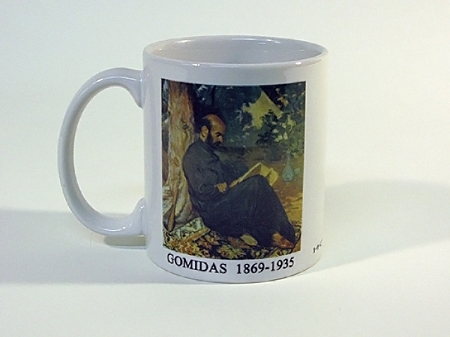 P. Terlemezian's famous colorful painting of Gomidas decorates one side of the mug, while the other side features a quote from Gomidas.